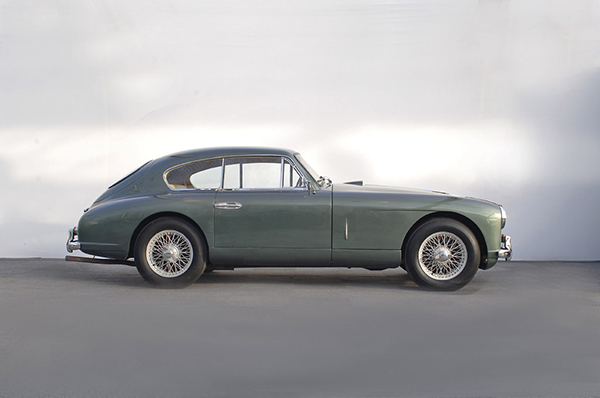 In April 1950, at the New York Auto Show, Aston Martin introduced the DB2. It was the first Aston Martin to officially bear the letters DB after owner David Brown. English businessman David Brown had bought Aston Martin in 1947 with the aim of developing a range of superior sports and racing cars. However, it was the acquisition of Lagonda in 1948 that provided the engine for the new DB2. Brown recognised from day one that although the handling and chassis design of the Aston Martin was excellent, the 2.0 litre four cylinder pushrod engine lacked power. Prior to purchasing Lagonda, Brown met with engine designer W. O. Bentley who had been developing the LB6 engine for the company. The engine was a modern twin-cam 6-cylinder of 2,580 cc. The combination of the 2.6 litre engine and the Aston Martin styling provided the basis for the car's success. 411 DB2 sports cars were produced between May 1950 and April 1953. The car was available as a 2-seat coupe, which Aston Martin named a 'sports saloon', and later as a 2-seat drophead coupe. 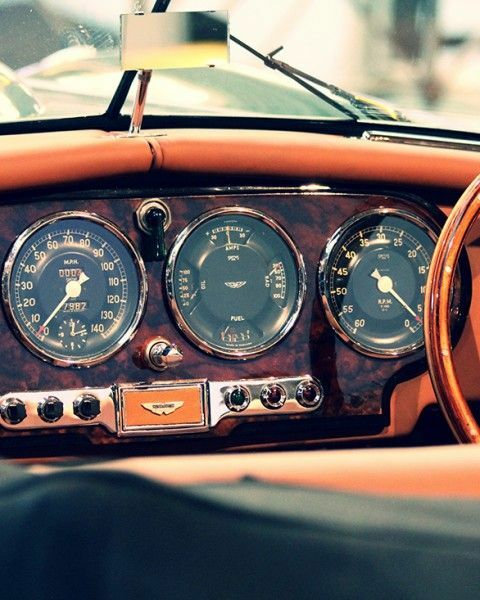 In the DB2, the dashboard and gauges were completely reconfigured. With a focus on the styling, the centrally-located, wood-mounted gauge arrangement was simple and eye-catching. Brown's passion for motor racing drove him to enter three pre-production DB2 cars into the 1949 24 Hours of Le Mans endurance race. Only one would have the new Lagonda engine, which only last six laps before retiring with overheating due to the failure of the water pump. One of the 2-litre cars finished in 7th place, but tragedy struck car 3. Whilst running without brakes in 4th place, the DB2 driven by Pierre Marechal crashed and he was fatally injured. The DB2 with the Lagonda engine competed in races across Europe and in the USA. However, they failed to secure a big victory.